More people are being diagnosed with depression. A meta-analysis of American students concluded that, between 1938 and 2007, diagnosed cases increased up to eight-fold. In fact, 25% of the world's population will be diagnosed with depression in their lifetime. Is this a result of the changing environment or, rather, simply the consequence of the redefinition of what constitutes depression? The WHO is set to make the 11th revision of the ICD, representing a challenge, and posing the question of whether new dimensions discovered by research in that decade will lead to the addition of new mental disorders, or just the redefinition of old ones. Since psychology is a discipline which can be observed through both empirical and social science methodologies, looking at the truth in the diagnosis of depression through different disciplines allows for a comprehensive understanding of the difficulty of restricting the parameters of diagnosis, and accounting for the variations in depression, hence guiding research in how to tackle this issue globally. Diagnosing depressive disorders is a complex process which currently depends on a social science methodology. Physicians consider DSM-V criteria to be integral indicators whether a patient may suffer from clinical depression. Additional screenings can involve interviews, or self-report questionnaires, such as the Beck Depression Inventory and Zung's self-rating depression scale . These methods are problematic as somatic symptoms aren't unique to depressive disorders. Furthermore, some patients prioritise physical symptoms over emotional distress, leading to false negative diagnoses. Conversely, some sources affirm that we are over-diagnosing depression. A study assessing diagnoses by GPs during routine examinations found out that per 100 people, only 10 out of 35 people were given the correct diagnosis. This shows that the methods used by physicians fail at providing accurate diagnoses, and new analytical processes are required to uncover the true ubiquity of depression. Surprisingly, suggestions for alternatives are limited; one was to ask patients whether they would like help immediately with two highly sensitive screening questions. This improved the validity of the findings, but failed to acknowledge contributing factors like genetic dispositions. Another suggested option is Bayesian network modelling . This is a more complete process, as various prior observations e.g. genetics can be accounted for, along with the patient's symptoms. Employing this could also let us differentiate between the different forms of depression, as the relative contributions of different variables to the diagnosis statistic highlight the driving factors behind the disorder, overall providing more truthful diagnoses of the illness. The aforementioned diagnostic techniques rely heavily on methodologies which study the consequences rather than the causes of depression, while the causes, such as biological predisposition, can be studied empirically, giving us a more comprehensive picture. More than 10 different genes are currently suspected to play a role in causing depressionThe diathesis-stress model shows the direct positive correlation between a series of mutations in the 5 HTT gene and stressful life events leading to depression. The mutated allele is responsible for a modified enzyme, preventing the cells from producing as much serotonin as they should. The issue with this approach is the limited knowledge we have on both neurotransmission and genetic predisposition. Studies like Caspi's are correlational and rely on self-reporting. Nonetheless, we can safely state that depression is partially derived from chemical imbalances or genetic abnormalities, and can be treated through medication. Researching essential biological factors behind this disorder will help us improve our means of treatment. If the truth of diagnosis relied solely on the biological predisposition, there would be albeit an unrefined but sure tool to extract it. However, through the examination of the socially constructed variations in the experience of depression, using social sciences can explain how cultural difference contributes to the ambiguity of diagnosis. The variation in diagnostic criteria between cultures is staggering; they have been shown to exhibit psychological phenomena in different ways, therefore modifying their classifications of depression and its diagnosis. When using each respective country's data, major differences can be seen in the rates of prevalence between Eastern and Western nations. Asian countries, particularly China and Japan, had lower rates. However, when the United States' criteria were applied universally, similar prevalence rates were observed. The difference is due to their holistic views on society which give depression a taboo status. Therefore, doctors are more likely to diagnosis neurasthenia as it focuses more on somatic symptoms, removing the mental illness stigma. This proves that when looking at depression and its diagnosis, cultural bias is important. This is why social sciences and anthropology can help us understand how the illness is perceived and aid us in tackling it. Gender is another element that brings about great variation in depression's preponderance, as the lifetime prevalence in women is approximately double that of men, despite male suicides being 3-4 times more probable. George Brown developed a social vulnerability model that states that low protective factors, high-risk factors and providing agents increase susceptibility to depression. The role-strain hypothesis' interactionist approach suggests that social roles and cultural factors (patriarchal norms), along with gender differences in biological responses to stressors, increase female vulnerability to depression. Assuming that biological predisposition is an independent variable, further isolation of the social factors could be carried out by viewing depression from a historical perspective. Take, for example, Virginia Woolf; understanding of mental illness was significantly different in her lifetime. 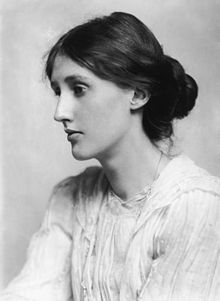 Judging the past by modern day standards is a prominent criticism of the historical methodology and, in this case, it raises many questions of whether or not the ‘truth’ of Woolf’s illness had been experienced differently without a cognitive label. This often-contradictory evidence raises an interesting question; is there a need to search for a universal truth in the diagnosis of depression? The WHO describes depression as “the leading cause of disability worldwide”, creating the need to tackle depression worldwide, yet we cannot utilise typical treatment methods used globally for physical disorders. If seen from the angle of biological and statistical analysis, we can observe a degree of universality in the illness which might benefit from a holistic approach, and hence a more concise deductive definition of the illness. However, by considering and the cultural, historical, and gender variations, we can infer that a universal definition would homogenise and thus actually distance us from the truth. Philosophical theories of truth are valuable tools for framing arguments for either point of view. For example, correspondence theory asserts that truth’s existence hinges upon its correspondence to fact, where fact is defined as existing within a set of properties and universals. Coherence theory, contrarily, argues that truth only exists within a coherent belief system, which validates the existence of multiple 'truths'. These differences appear to exist in contradiction, much like the nature-nurture debate. However, by looking at the issue using different theories, methodologies, and disciplines, we can actually establish a more efficient functioning framework for the diagnosis of depression, which will both illuminate areas of further research and serve as a reference point for existing theories. ↑ Hofstede G. Culture's consequences. 5th ed. Newbury Park: Sage; 1984. ↑ Brown G, Harris T. Social origins of depression. 30th ed. London: Tavistock Publ. ; 1984. This page was last edited on 9 December 2018, at 23:52.